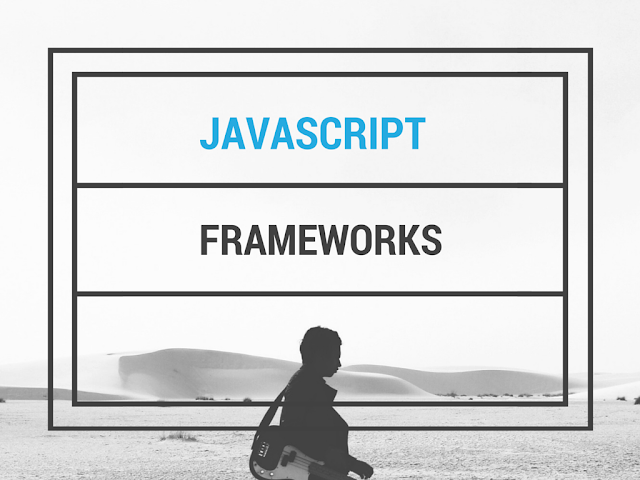 Just like any other language frameworks, JS frameworks are also good for specific needs. There is no one size fits all framework. It gives a structure to the web applications by providing models with aspects like custom and key-value binding events, collections containing rich API of enumerable functions, views including declarative event handling and also connects all to the existing API – over the RESTful JSON interface. Batman.js is the most familiar and best way to build rich web apps in CoffeeScript if you like Ruby on Rails. The Batman.js is built keeping the Rails development in mind that helps you save time and using less codes. The structured directory hierarchy and ease of scalability makes it a choice for the web app developers. The aim of designing Stapes.js is to be agonistic about your style of coding and setup. It offers the necessary building blocks to build an app when you fancy for using jQuery, Zepto, React and Rivets. It can do everything like class creation, data methods and custom events. It is a small modular and extensible open-source MVC framework that is built on MooTools Events and Classes. It can also be used as a classic MVC or MVP as it can help in creating pure controllers from the MooTools Classes. This is an MVC library and framework that uses Google Closure library along with Closure Compiler. Even though it is not just an MVC framework it is the start of an application framework. This is one of the Java web frameworks that can mimic the names of the frameworks like Spine and Backbone. This a MVC framework that has introduced a coding language named eXtendable Application Markup Language or XAML that defines the application and also MV-Bindings as well as event handling. It allows encapsulation of complexity into components that can be used beside HTML. A Luna application specifies a data model and also a function from that model to the view of the user interface, which is annotated with the handler functions from user inputs to model mutations. This is a simpler way to write modern web applications and it writes in Web 1.0 or PHP style view code. This is a framework that enables easy creation of advanced web applications. It is an open source framework that lets you build applications of desktop-caliber and can run in a web browser. It has controls like AppKit and runs on powerful object-oriented language called Objective-J. This is an open source framework that helps in building very fast and innovative user experience on the web. It leverages the power of HTML5 and is built on clean MVC architecture. It gives the user a native experience on the web it contains built-in tools that make the app look good. It is a jQuery based MVC framework that is useful in creating a single page jQuery application. This framework is a continuously evolving framework and it offers deep application architecture. It can run a large sample application without a server or building framework. It is a framework that is used to build user interfaces that scale from a simple interactive element available on the page to a complex and feature-rich applications. It has transparent internal design with unique class system. The speed of the Lava classes can be compared to the hand-written analogues. If you want to take out the complexity from the client-side web programming Prototype is the best bet. This framework is built to solve the real-world problems and helps in adding extensions to the scripting environment of the browser. It offers elegant APIs in the clumsy environment og Ajax along with Document Object Model. It is the framework that offers tools that help you create loosely-coupled architecture that is broken down in smaller pieces. It does not dictate its own structure and it can be used as a framework of model-view-controller. It can also be used for creating sandboxed widgets or modules that are independent. Updated On Oct 2016: Updated broken links and fixed minor formatting issues.